When I first listened to this CD, I was surprised by the rock sound on many of the songs. I guess I didn't know what to expect. In any case, this CD is a lot of fun, since it is a Praise CD, but there is a huge variety here. 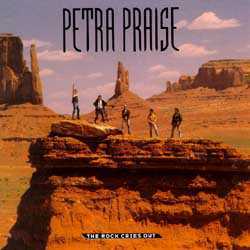 Petra's renditions of these classic songs range from hard rock, to slow and worshipful, to fun and upbeat 50s style music. While I like this album, the lack of consistency kinda makes it lose a little something, and so I enjoy Petra Praise 2 a lot more.